The Organica Cancer Fighter Package includes several natural cancer treatments that are both complete and synergistic. It consists of only the highest quality products, made by trusted manufacturers using only the finest ingredients. Cancer Hits 1 in 4 People, and When it Does it’s Devastating. Cancer affects one in four South Africans, through the diagnosis of family, friends, colleagues or self according to Cansa, a non-profit organisation. In an age when everything from the food you eat to the air that you breathe contains carcinogens, cancer prevention has never been more critical to keeping this life-threatening affliction at bay. The Best Natural Cancer Fighter Supplements in One Package. Amygdalin / Laetrile / Vitamin B17: a large number of studies have shown that amygdalin plays a supporting role in the treatment of cancer. I'm a single mom and cancer survivor, and I want to tell you that you can take action to beat cancer. I'm confident that CBD played an important role in my recovery and remission and I still take it daily. I'd already been sold on the idea of CBD oil, but I hadn't been able to get hold of any. I found these guys while browsing the web and I bought the Cannaco product. I must say that their service has been really good and so far my debilitating pms has been kept at bay. I thougt that CBD was a bit of a luxury buy and I did actually go on a limb buying it, but I must say that since I've been taking it, I really do sleep so much better. This CBD is the real deal! I take it yo help with my arthritis and wow what a difference. I am thinking about speaking to my doctor to reduce my meds. 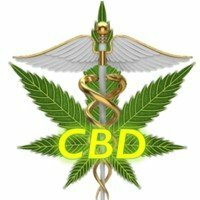 I've been using CBD for a while now to help with my migraines and it works! I started with CBD oil and then tried liposomal CBD and even when I do have a migraine, it's so much less painful. Buy Your Organica Natural Anti-Cancer Package and Get Free Delivery. Want a 10% Discount on Your First Purchase?